Game description: Be Harry Potter in a new adventure with more magic, friends, and danger. In his sophomore year at Hogwarts School of Witchcraft and Wizardry, Harry stumbles upon a dark chapter in the school's past. 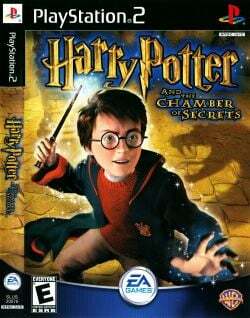 In an effort to confront the powers at the heart of the Chamber of Secrets, you'll learn new spells, undertake new quests, make new friends, and challenge new adversaries. Do you dare take the chance that you might face the evil Lord Voldemort again? USA 2.20(10/02/2006), Game not playable. Game freezes in the first loading screen, tried switching GS settings (allow 8 bit textures, switched renderer between Hardware and software mode). Europe v02.00(14/06/2004), Game crashes before entering the menus, Slow speed in loading and crash. USA v01.60(07/02/2002), Speedhacks: EE Cyclerate:2, Skip MPEG/FMV once memory card check has been completed. Gotta be quick! Game not playable. Game freezes on New Game, looking into it now. Europe v02.00(14/06/2004), Game will not go past memory check on default emulator settings. If SuperVU legacy is used, the game can progress to the menus and will work correctly up until that point. USA v02.20(10/02/2006), Game freezes in the first loading screen. 1.5.0 (7th September 2017 build) GSdx SPU2-X Europe v02.00 (14/06/2004). Game now fully playable. My patch is linked in the 'Known Issues' section. Compatibility report on the thread too, for further information. USA v01.60 (07/02/2002). Game playable with patch and Frame Buffer Conversion hack. Description: The game will not work properly since it will randomly crash. Workaround: This patch makes the game playable. Description: (Hardware Render) Graphical artifacts on the right quarter/third of the screen. As of November 2017 on the latest v1.5.0 development builds this issue can be fixed with enabling the "Frame Buffer Conversion" Hardware hack. For older versions use Direct3D with Partial CRC Hack Level.